I struggled with the enclosure for several minutes but eventually gave up and sulked to my dresser. Digging around in frustration I finally found them, the fat jeans. Hadn’t seen or wore them in probably two years, but here they were and now was the time. I can’t believe this, I mean, I’m a vegetarian, I used to be a personal trainer, and I have all this knowledge about health. Why is this happening?! My thoughts drifted back a few years (ok, nearly twelve years). I was a certified personal trainer; I weighed 120lbs and wore a size 4 in my favorite designer clothes. Those were the days. Or were they? While I might have looked good on the surface, I was a wreck on the inside. In order for me to get that body I purged over ten times a day, abused laxatives, worked out for hours on end even waking in the middle of the night to run laps, I was addicted to drugs and smoked like a chimney, and I regularly engaged in self-mutilating behaviors like cutting. Shaking my head I thanked God for the extra weight I had now, because it wasn’t about the weight it was about the freedom. I might be packing some pounds, but at least I knew who I was, who God made me, and I was no longer enslaved to a life of personal torture. It’s the same way with our sin. We are so good at deceiving ourselves into thinking we’ve got it together, we’re doing a good job, we’re being “good” Christians, while at the same time we can’t maintain peaceful relationships, we get angry when we think of how a person wronged us, we can’t move past being a victim or feeling sorry for ourselves, and we say we’ve forgiven someone but continue to treat them differently; but boy, on the outside we look good—especially when we’re singing with our hands raised in church. Yes, there we are the super-spiritual Christian who doesn’t practice mercy, grace, love, or forgiveness. Sometimes our consequences need to catch up with us, and sometimes, if we’re really stubborn, we need to lose everything and everyone in order to find out that God was all we needed. His approval was all that mattered. We have to really want it, though. Because it’s hard work, this freedom thing. Maybe it’s easy to have a good experience every now and then, but to really maintain an experience of freedom it takes effort and honesty. Otherwise, we end up right back where we started, pulling out the fat jeans because we thought we were doing better than we really were. In other words, the result will always give us away. Failed relationships, lack of peace, judgmental attitudes, critical or cynical spirits, dissatisfaction, inconsistency, insecurity, fat jeans, whatever it is, it’s the result that speaks to the attitude. Am I lacking peace, do I feel the need to judge another person’s motives, am I always complaining, being overly dramatic, craving attention, avoiding a person who hurt me, talking negatively about someone behind their back, impatient, feeling as if my needs are unmet by people…? Whatever it is, there is an underlying sin-attitude behind it. Please don’t wait until the result of your life is so negative you can’t stand it anymore before you finally take action. Keep a short account with God, be honest with yourself, others, and God (it’s not like your secret motives will actually surprise Him). It’s easier to button my jeans when I know I’m doing all I can to be healthy, even if I’m not wearing the size I want. Just the same, it’s easier to experience joy and peace when we’re honest, when we put pride to death daily, and maintain a clear conscience of integrity in all our words and actions. When this is our way of life, the hurts are easier to bear, we’re not thrown into a cloud of depression amidst bad circumstances, and we don’t feel the need to defend ourselves when unjustly accused (you know, when that eye for an eye thing taps on our shoulder). You can support Rebecca’s ministry with one click! If you enjoyed this post and others, please take a second to click the FOLLOW button on the space provided on the right hand side of the computer screen (or scroll to the bottom of your screen if using a smartphone) and you will receive new posts in your email inbox. This is absolutely free and your information is never shared! Rebecca Aarup is a redeemed prodigal, set free from over a decade of mental illness, eating disorders, addiction, and more. She now enjoys sharing her story of freedom and transformation with a lost and hurting world, as well as teaching about spiritual warfare and the importance of understanding our identity in Christ. 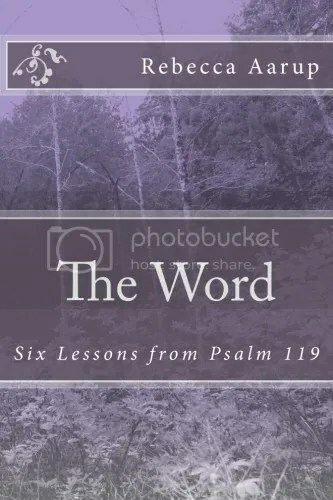 Rebecca is also an author and freelance writer, having written devotionals and teaching articles for a variety of publications including The Secret Place (Judson press), Evangel (Light and Life Communications), and Mustard Seed Ministries. 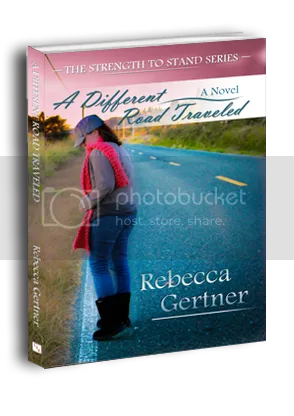 Beyond writing, Rebecca is a wife, home-schooling mom, and Bible student at Liberty University. She lives in Glendale, Az with her husband Chris and daughter, Samantha. You can read more from Rebecca by following her on twitter and facebook. Love love that quote from Warren Wiersbe (you must have his collection). I’m a “learner” by nature, so love gaining knowledge but often find myself lacking grace. Each day (& often) I’m asking the Lord to enable me to be the blessing to others. Thanks Rebecca… have a blessed Easter with Chris & Samantha. Great post, Rebecca – working on getting out of my fat jeans – or stretchy pants, now. You’re right, it’s a lot of work! Thanks for dropping by, Jan. Exercise of the body AND the spirit are both difficult but necessary. Keep persevering!